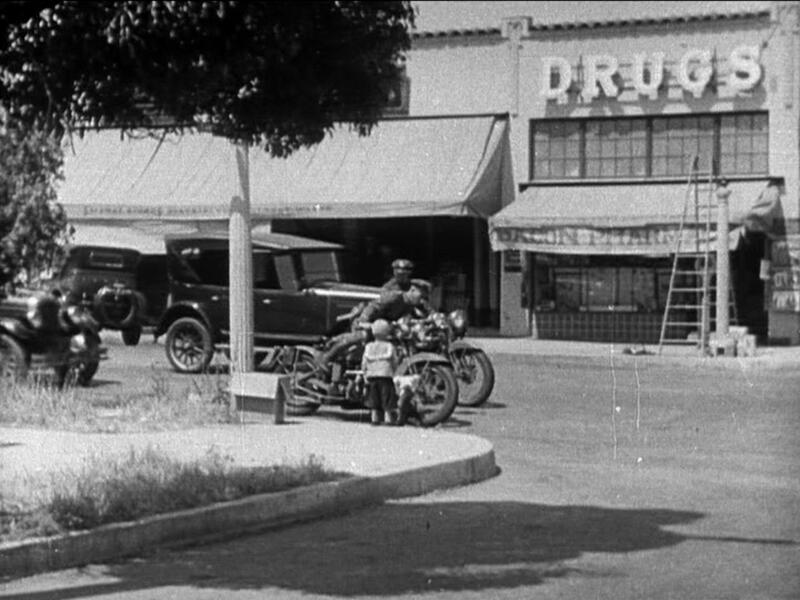 The drug store was built sometime between 1910 and 1924, as it appears in Harold Lloyd’s Girl Shy released that year. Harold (well his stunt double, see above), races past the corner store as he struggles with an unspooling fire hose while attempting to remain on the back of a fire engine. 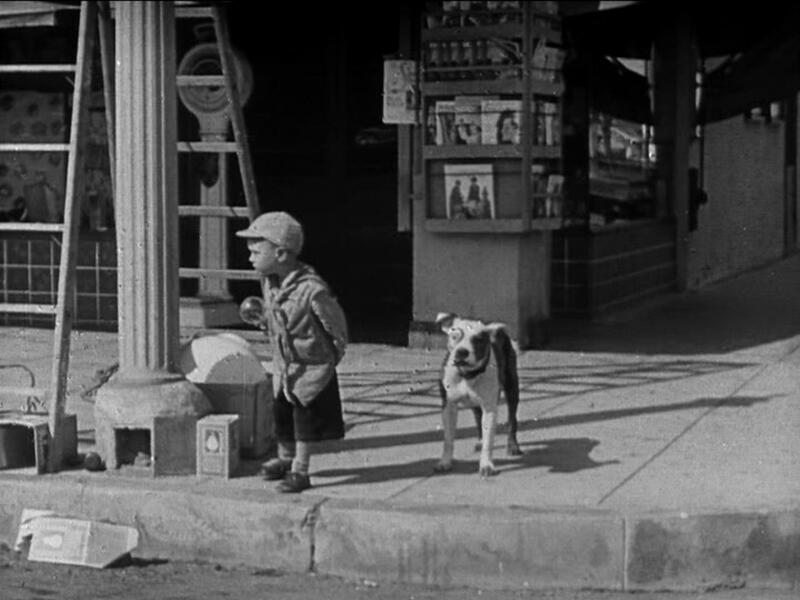 The corner appears too in the 1926 Our Gang comedy Monkey Business (also above), and plays a prominent role in Dog Heaven, another silent Our Gang comedy from 1927, which includes scenes of the store’s interior. Below, from Dog Heaven, Wheezer, two years younger, exits the same store, while Joe Cobb purchases candy inside. Below, from my Harold Lloyd book, a 1924 map by Dutch graphic artist Piet Schreuders showing Harold’s fire engine racing past the corner store on Tabor, and a photo from Hal Roach movie locations YouTube star Chris Bungo showing the lost store interior. For over 90 years this modest little building helped time to stand still, where you could visit and imagine what once was. How sad we’ve lost another tangible link to the past. Thanks for the post, John. Happy Holidays! Hi Chris, I’ve been leaving comments for you all over town, I just found your You Tube channel, and am watching and loving it😜 I grew up in Westwood, near Century City and am very familiar with all the locations on Motor. Your “Then and Now” are so well done, with the address clearly defined by color, and I get to go to Google! Thank you for your work! Hi John, thanks again for all your incredible work. As a native Angeleno, and a history buff, I love seeing the “Then and Now” views of the city I love, combined with some of my favorite silent films. I also just discovered Chris Bungo from your site, and spent a few hours binge watching his You Tube channel. His videos are terrific! Merry Christmas! So sad…they’re breaking up OUR ol’ GANG of mine!…I visited the site a few years ago via your books and website information…glad I did…John thanks for all you do to preserve film heritage and memories! Merry Christmas and a Happy, Healthy 2018!